A common criticism of Mormon Feminism is that is an oxymoron; that principles of Mormonism and principles of feminism are incompatible with one another. Criticisms come from both sides of the table; the nonreligious feminists are incredulous that women who call themselves feminists would stay with an institution they see as being inherently sexist. On the Mormon side we hear the opposite argument (men and women are different, we don’t want equality, etc. etc. ad nauseum), along with pointed remarks about how if we really understood the gospel we would put those feminist thoughts aside. But frankly, all I have to do is look to the past to see that Feminism and Mormonism can go hand in hand. If former General Relief Society Presidents can be feminists then why can’t I? So today I’d like to share with you 7 of our most famous foremothers, women who worked tirelessly for the rights of women, strong, courageous women who pushed boundaries. challenged the status quo, and remained active in the church while doing so. All her life, Martha treasured learning. By the age of 14 she was working as a schoolteacher, and shortly thereafter became a typesetting for the Woman’s Exponent while attending college. She graduated in 1875 with a degree in chemistry and in 1881 with a medical degree, and went on to receive a degree in pharmacy and a dipoma with the National School of Elocution and Oratory. 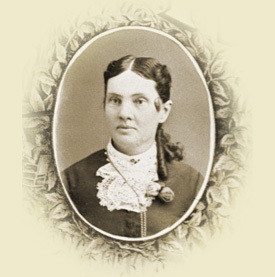 From 1882 to 1886 she served as the resident physician for Deseret Hospital. She then was forced to leave the territory with an infant daughter as her husband, the polygamist Angus M. Cannon she had married 18 months prior, was under investigation from federal officials and she wished to avoid testifying against him. By 1888 she was back, resuming she medical practice and teaching nursing courses. She also became involved in the suffrage movement, speaking and traveling widely. In 1896, Utah was admitted to statehood and women’s right to vote was restored to them, and Martha took this opportunity to run for state senate, beating her own husband in the race and becoming the first woman ever elected as a state senator in the United States. During her two terms she focused on public health and women’s issues. After leaving office, Martha served as a member of the Utah Board of Health, which she had been instrumental in creating, and as a member of the board of the Utah State School for the Deaf and Dumb. Her honors did not end in death; the Martha Hughes Cannon Health Building in Salt Lake City, housing the Utah State Department of Health, was dedicated in her honor in 1986, and an 8-foot-high bronze statue of her can be found in the Utah Capitol Rotunda. 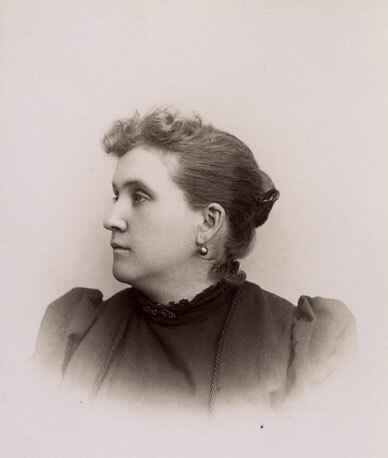 Susa was a prominent writer, editor, and advocate for women’s rights. 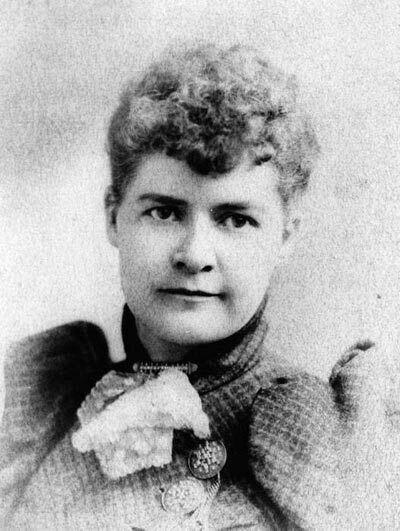 As a teenager, she was the editor of the student newspaper at the University of Deseret, and when she attended Brigham Young Academy (the precursor to BYU) in 1878 she founded the music department. She would also go on to found the Young Women’s Journal in 1897 and the Relief Society Magazine in 1915. Susa was also a strong advocate for women’s suffrage, serving as a delegate for both the National Council of Women and the International Council of Women. She became involved politically, attending several Republican National Conventions and organizing the Utah chapters of the Daughters of the American Revolution, Daughters of the Utah Pioneers, and the National Woman’s Press Club. In her later years, she became active in genealogy and managed the genealogy departments of the Deseret News and Inter Mountain Republican, editing and writing columns. For a time, she was also the head of the Research Department and Library of the Genealogical Society of Utah. In the midst of all this, she wrote nine books during her lifetime. Romania was the first Mormon woman to earn a medical degree; in 1873 she received a calling from Brigham Young and traveled to Philedelphia to enroll in the Woman’s Medical College of Pennsylvania. She earned her degree and returned to Utah, training other Mormon women in medicine. Among her many accomplishments, she served on the board of directors for the Deseret Hospital, the first hospital in the territory of Deseret (what is now Utah). She was also involved in the Women’s Suffrage Movement, and served as the Utah delegate for the International Woman Suffrage Alliance conference when it was held in Amsterdam in 1908. Emmeline was an journalist, editor, poet, and above all a women’s rights advocate. Without her there would be no Woman’s Exponent. The Woman’s Exponent, a newspaper published in Salt Lake City from 1872 to 1914, was written by women, for women, and Emmeline stuck with it for the duration – she began as a columnist and in 1877 took on the job of editor, a job she held for 37 years until it ceased publication in 1914. The newspaper boldly advocated for women’s suffrage, and Emmeline didn’t just write about suffrage. 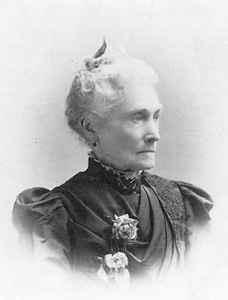 She represented Utah women in the National Woman Suffrage Association and the National and International Councils of Women for nearly 30 years, and in 1879 acted as a lobbyist in Washington D.C. In Utah women had been given the right to vote in 1870 but Emmeline continued to work in women’s interests, helping in 1880 to introduce legislation allowing women to run for office (which unfortunately failed). 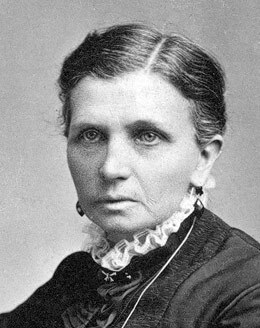 In 1910, towards the end of her life, Emmeline was called as the fifth general president of the Relief Society, a position she held until her death in 1921. She lived long enough to see her decades of activist work pay off when the 19th Amendment was finally ratified on August 18th, 1920. Eliza is one of the most well-known early Mormon women, and is remembered fondly as “Zion’s Poetess.” She had always had a love of writing; in her early years she took a job as secretary to her father, who was justice of the peace at the time. Between the years of 1826 and 1832 she published more than 20 poems in local newspapers, and continued to write poetry throughout her life. Several of her poems can now be found set to music in our hymn book. 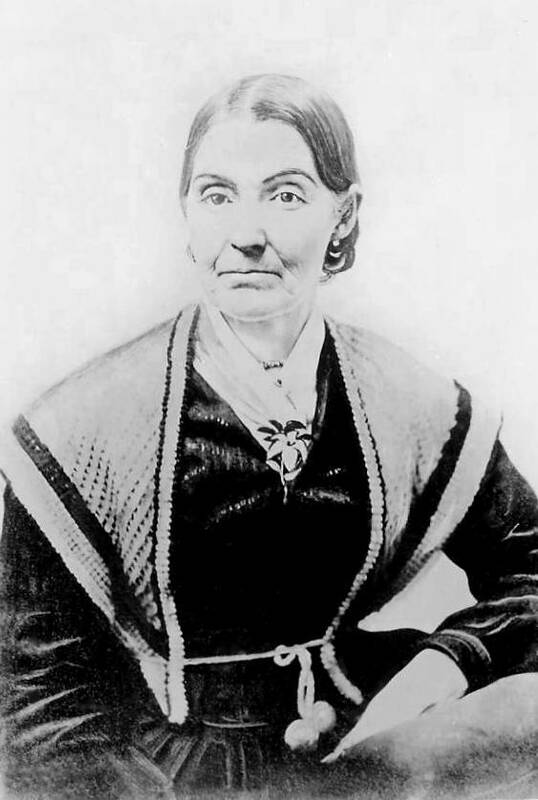 She is fairly unique among Mormon women in that she is known by her maiden name; while she was married to both Joseph Smith and Brigham Young, she never had any children and was known as a powerful woman in her own right, independent of any man. 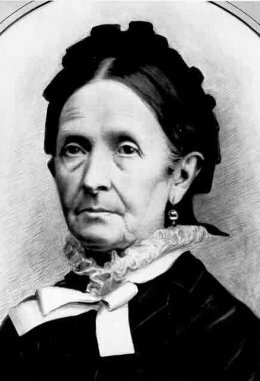 In 1866 she took on the daunting task of reorganizing the Relief Society, which she had been secretary of during the Nauvoo era. She traveled through Utah territory organizing local chapters and encouraging her fellow sisters. The Relief Society under her direction became a vehicle for change, and by the time of her death had, among other projects, sent women to medical school, trained nurses, opened the Deseret Hospital, opened cooperative stores, promoted silk manufacture, saved wheat, and built granaries. I’d like to finish with Emma, arguably the most famous Mormon woman of all. As Joseph Smith’s wife, Emma was along for the ride, and while for the most part she was a supportive wife, she was not afraid to speak her mind even when it was difficult. In a well-known story, it was the urging of Emma that led to the revelation that is now known as the Word of Wisdom, a story modern feminists point to as they ask the prophet to prayerfully ask about the ordination of women. When Joseph introduced the endowment ceremony to several male associates, she was the one who asked to receive her own endowment; Joseph may have decided to extend the ordinance to women on his own but he may have not, we’ll never know. In 1842, the Nauvoo Relief Society was organized with Emma as president, and one of the things she did was use it as a platform denouncing the rumors of polygamy that had begun circulating in Nauvoo. This put her at odds with many of the male church leaders (including Brigham Young and her husband), who had secretly begun the practice of polygamy, and after Joseph’s death was one of the reasons she did not follow Brigham Young to Utah. Beautiful! The more I learn about these women, the more inspired by them I am. Thank you for this post. This article is very informative and useful. It is encouraging to see the many fore runners of the faith be so strong in their support of women. Although I am not a Mormon, I am strong in my religious faith and am resolute in women maintaining their identities and fullfilling their purposes in life.